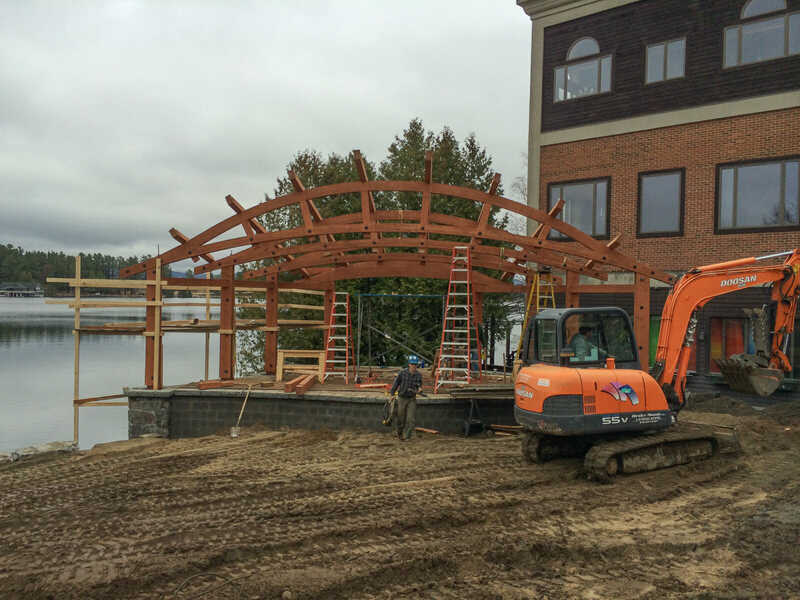 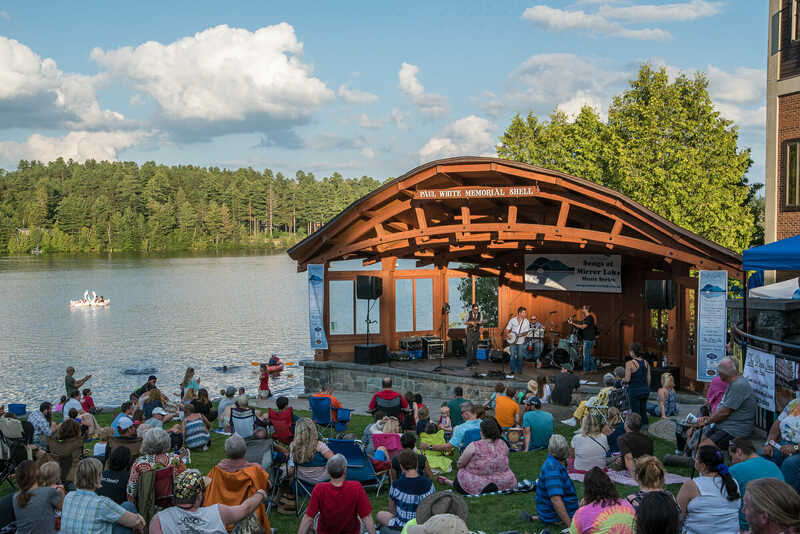 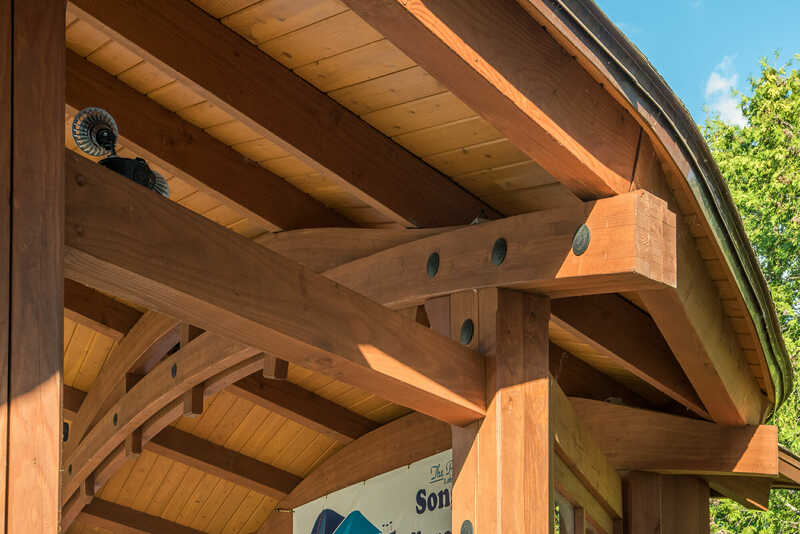 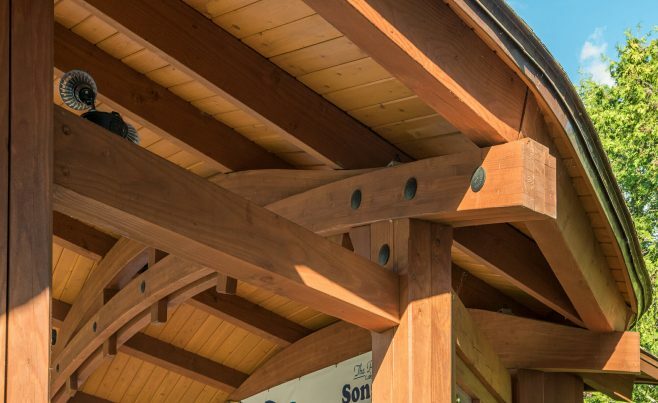 This bandshell was constructed with douglas fir timber. 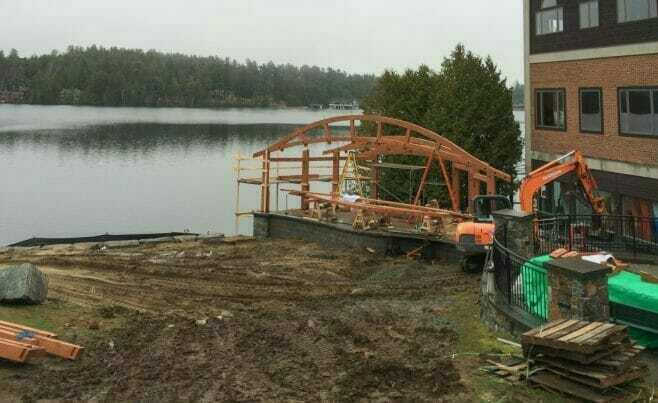 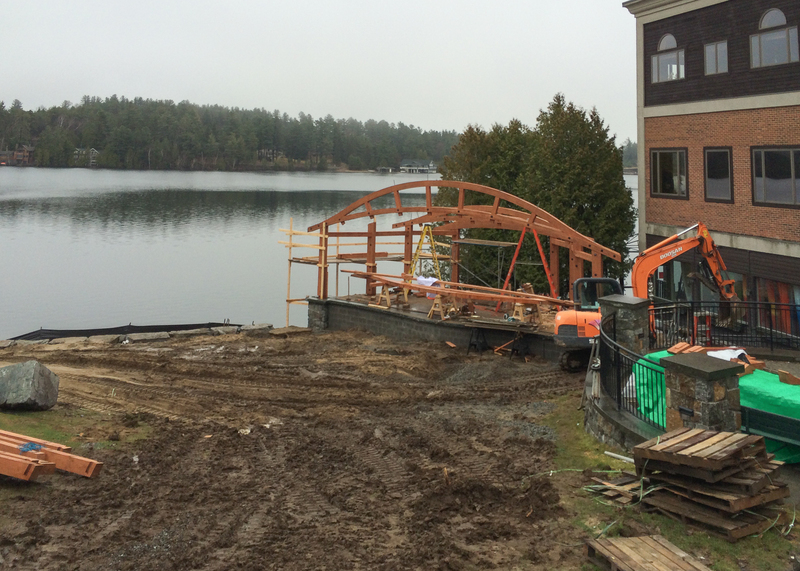 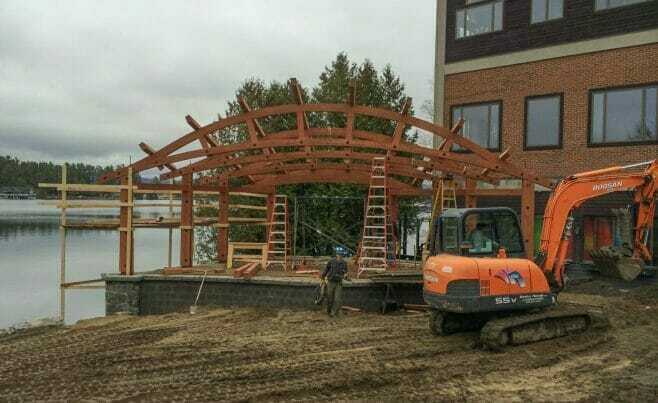 The arched beams are glue-laminated. 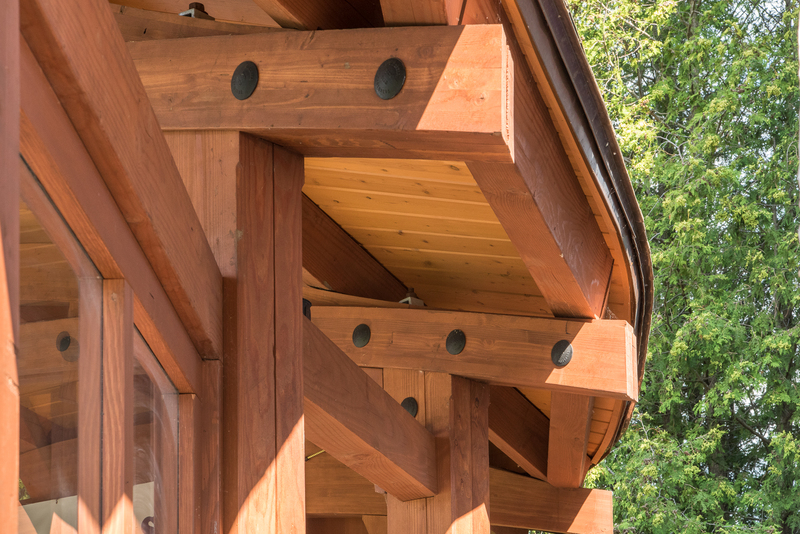 The texture of the timber is smooth. 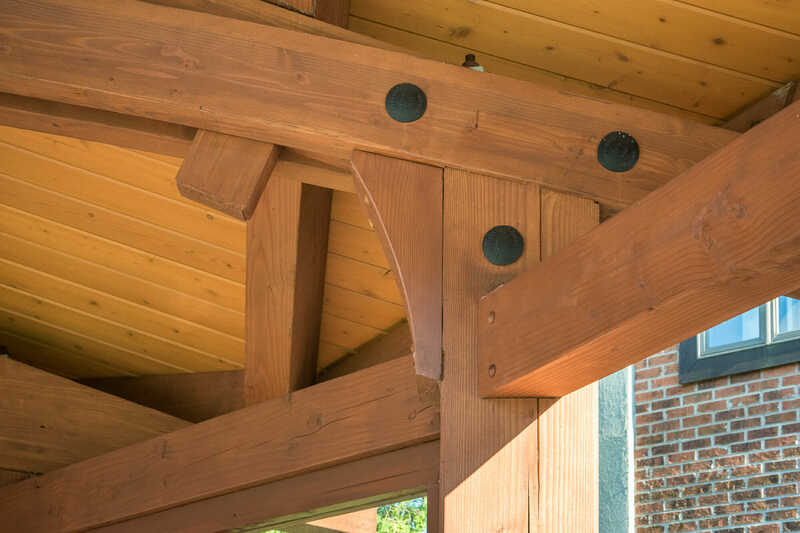 The beams were sanded on all four of their sides. 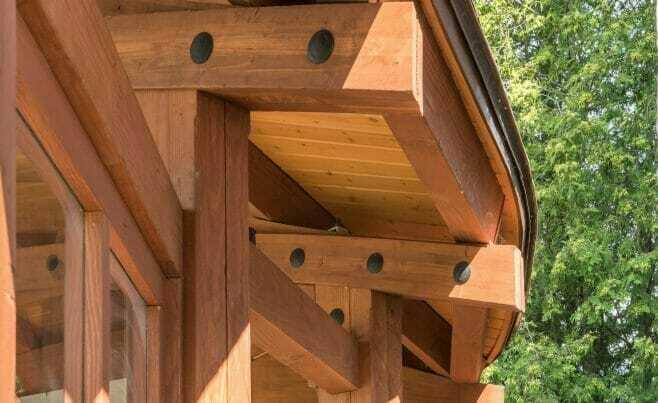 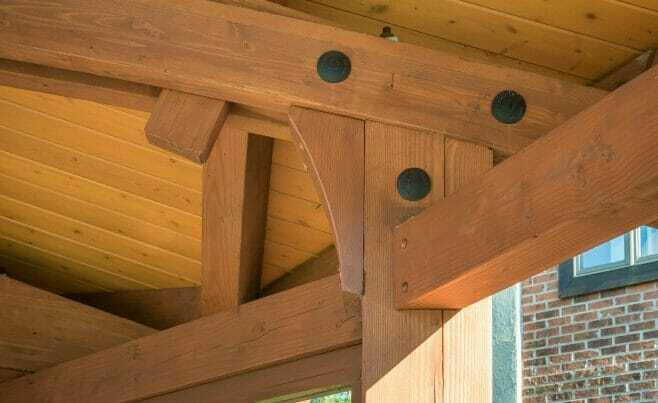 The edges of the beams are chamfered, so that they are sloped and symmetrical. 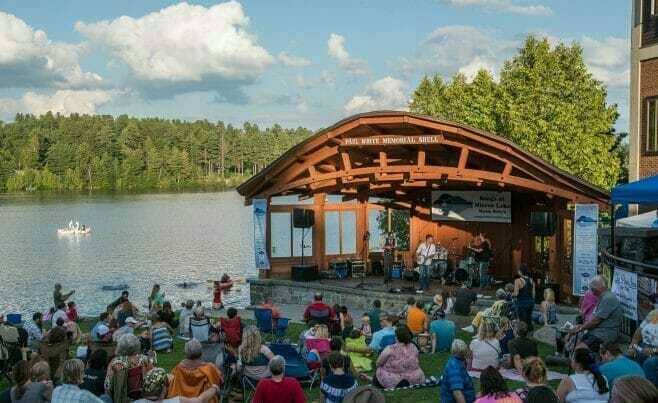 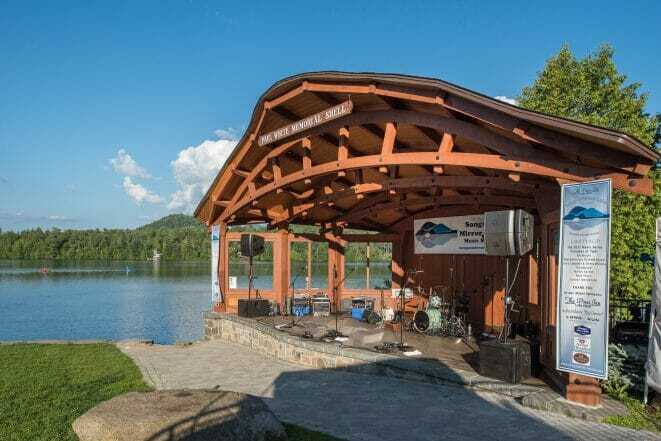 The bandshell is located in Danbury, CT.